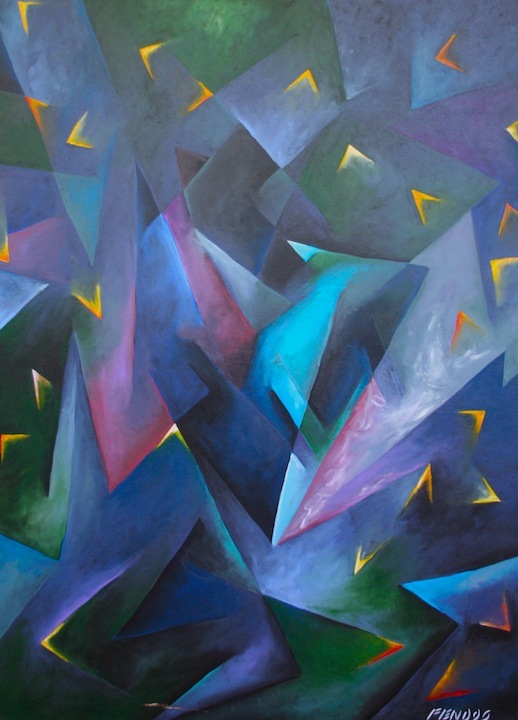 In his abstract work, Artist Todd Fendos likes to portray a visual sense of musician and music together. As in any art, there comes a point where the artist is inseparable from his or her art form. For Todd, jazz musicians parallel his painting, as each style allows for abstract, expressive moments. The canvas measures 36″x48″.